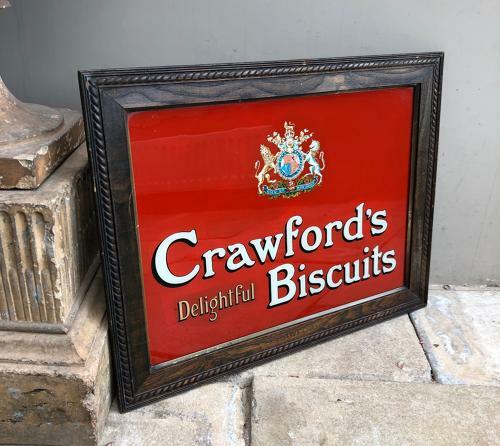 Completely Original Early 20th Century Glass Advertising Sign for "CRAWFORD'S DELIGHTFUL BISCUITS" with the Royal By Appointment Crest Central Top and in its Original Oak frame with CRAWFORDS centrally at the base. Wire to hang on the original back. Wonderful piece which is a good size and highly decorative. As it is all glass it has to be collected or sent by Courier (UK £45 not including Scotland).